For most of us, the fire escape is a necessity that is only thought of when preparing emergency plans, but for the city of Boston, fire escape safety is a serious matter. The earliest building codes, dating back to the Code of Hammurabi in ancient Babylon, were put into practice to ensure that buildings did not collapse due to poor engineering. After tragedies such as the Chicago Fire of 1871, the San Francisco Fire and Earthquake of 1906 and the Triangle Shirtwaist Fire of 1911, public outcry over the lack of codes that could help prevent death and injury during fire emergencies erupted. 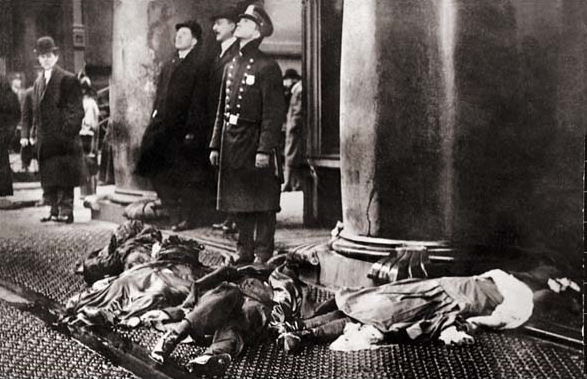 On March 25th, 1911, 146 workers died in a terrible fire that happened at the Triangle Shirtwaist Company in Manhattan, New York. Roughly 500 employees had reported to work that Saturday when an explosion occurred and smoke began pouring out of the 8th floor windows. Workers scrambled to escape, and one fire escape buckled under the weight of workers. Some tried jumping off of the fire escape or out of windows to escape the flames and smoke. The most notable tragedy involving a balcony fire escape in Boston occurred on July 22, 1975 during a tenement fire on Marlborough Street. A stranded young woman named Diana Bryant and her godchild Tiara Jones were about to be rescued when the fire escape suddenly collapsed, plunging Diana to her death and severely injuring the child. A photo of that fatal plunge was captured by Stanley Forman who later won a Pulitzer Prize and was published in the Boston Herald. 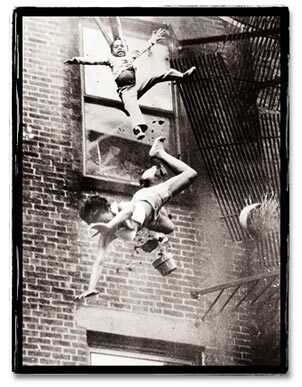 Following that tragedy, Boston officials strenghtened their laws regarding fire escape safety. Legally-speaking, a fire escape is known as an egress, or a place or means of exiting a premises. This is important to know because Boston has very strict codes and standards when it comes to the safe condition of all means of egress. According to the section "Minimum Standards of Fitness for Human Habitation" of the State Sanitary Code, "The owner is responsible for maintaining free from obstruction every exit used or intended for use by occupants of more than one dwelling unit or rooming unit." Fire escapes are certainly considered an exit, so be sure that all fire escapes are free and clear. It continues to say that, "The owner shall maintain all means of egress at all times in safe, operable condition and shall keep all exterior stairways, fire escapes, egress balconies and bridges free of snow and ice...All corrodible structural parts thereof shall be kept painted or otherwise protected against rust and corrosion...Where these structural elements tie directly into the building structural system, all joints shall be sealed to prevent water from damaging or corroding the structural elements." The best way to ensure that your property meets these standards is by having your fire escape professionally inspected. Massachusetts building code requires that "All exterior bridges, steel or wooden stairways, fire escapes and egress balconies shall be examined and/or tested, and certified for structural adequacy and safety every five years, by a Massachusetts registered professional engineer, or others qualified and acceptable to the building official; said engineer or others shall then submit an affidavit to the building official." In short, make sure you maintain the fire escape structures that belong to your property to ensure that they are safe for your tenants, contractors and emergency personnel to use when needed. Check out the video below for a news investigation by Hank Phillipi Ryan about the danger of not inspecting your fire escapes.